All officers and assistants are unpaid volunteers who wish to promote chess in our community. 137th New York State Annual Championship in Albany on Labor Day weekend. Hotel rates: $102-102, 800-443-8952, 518-458-8444, reserve by 8/27 or rate may increase. There are also many other fine hotels in the area. You can register for the tournament online by clicking here. We had a lot of fun at last week's chess picnic! Chess, food and FUN! 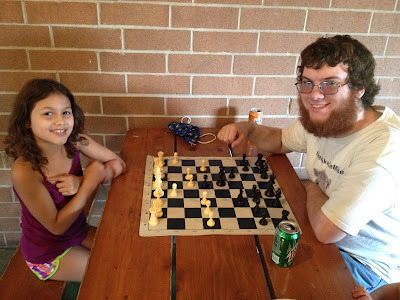 ... at the Chess Center Picnic held last week at Mendon Ponds Park. July 15, 2015. We will have CCCR Chess on Wednesday, July 15th. Chess Center Picnic at Mendon Ponds Park! enjoy the whole evening at the Park. It will be catered by Red Light BBQ and is $5 per person, and free for Chess Center members. You may also bring your own food to grill and enjoy. Soft drinks, chess sets and supplies will be provided by the Chess Center. The picnic flyer is in the previous blog post! Second episode of Chess Match teaches chess from a beginners match between Catherine Healy & Katherine Stein, and an intermediate players match between Krish Thakkar & John Healy. Tips of the Match for each game, and more Benefits of the Day. The Victor High School Chess Club is featured at the end of the episode. Episode #2 of Chess Match, an instructional video series airing in New York and featuring instructor Ken McBride and guest instructors David Petty, Ryan Horst, James Hiltunen, Wendy Xia, Ron Lohrman and David Phelps. And featuring chess clubs and competitions from around Upstate New York. Whether you are a beginner or advanced player or have never played chess, or are a parent of a player or would-be player, you will find something for you here. Dispelling all the myths about chess being too complicated or intimidating or uninteresting. 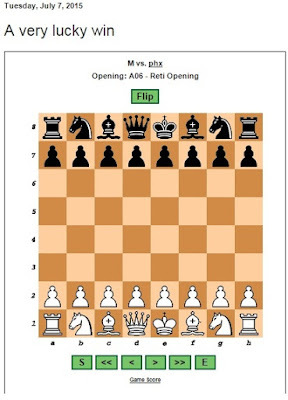 We show blitz game and bughouse game variations. We list all the great benefits of gaming in chess. With instruction coming directly from the matches, we have a Tip of the Match for every game and a Tip of the Day for every episode. Watch to see how, what, and why. New episodes every month with new players. See if your team, your club or your school, friends or acquaintances are on this episode. Here is a link to a blog by CCCR member, Jim Trowbridge. His site is called, Smoke The Pawn. 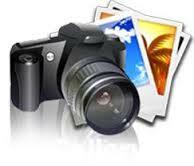 There are a lot of analyzed games here such as the one provided by clicking on this link.